Lauren and Mike drove all the way up from Connecticut for their engagement session in Easton, where Lauren is from. 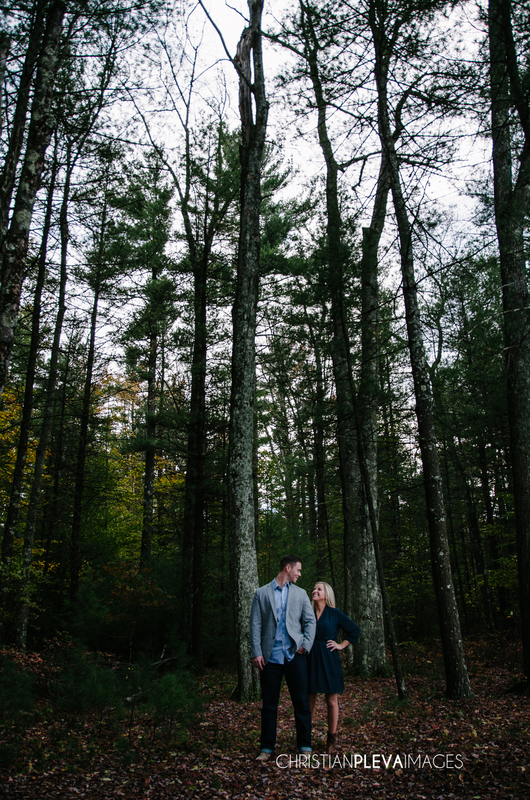 We had such a great time walking through the trails at the Borderland Park and I think once the nerves wore off, Lauren and Mike did too! They are planning their wedding for next November in Newport at Our Lady of Mercy Chapel, followed by their reception at Ocean Cliff. The couple is most excited about all of their friends and family there to celebrate with them! Congrats to you both! We hope you enjoy!